I Freaking Love Puatera-Online stories, and I'm always thrilled to find out what's been happening while I was "offline"... This is a perfectly fine place to start in this series. There are new players (3 sisters, Jessica, Dahlia, and Lila, who've logged into Puatera through a backdoor), and they find themselves in a very glitchy game! Because they didn't use the proper entry, the game absorbed them without a trace. When Jessica wakes up in-game, she is lost and alone... She's without benefit of tools, and she has no notion of how to survive, let alone find her sisters... as you can imagine in this novella, Jessica has a very steep learning curve! *Fair Warning* This series is addictive, and you'll soon find that you need to read Dahlia's (Puatera Online, #6), Maddie's (Puatera Online, #'s 1,2,3) and Akillia's (Puatera Online, #4) respective stories too, because like dominoes, Dawn Chapman is setting up this series for maybe, I think, the grand finale in Lila's story! Suzanne Barbetta did a great job with the narration! 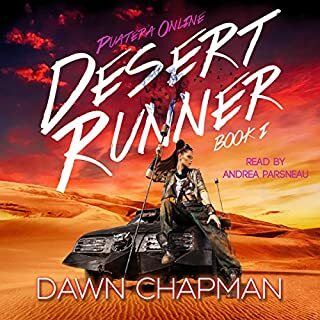 Puatera Online, and Dawn Chapman hold a special place in my heart. I came to this series right after I discovered the Litrpg genre. Now, I don’t mean discovered in the sense that Columbus “discovered” America. I mean that I had just sort of stumbled into this magical thing, and Dawn was there to guide me. Putera was very different from the other books I had thus far read, it was sci-fi based (a plus for me) and starred and NPC rather than a player. That was a hook I could enjoy. Dawn, herself, was incredibly open to her fans, and always found time to answer any questions or to let me know when her next book was coming out. I’ve been a fan ever since. Jessica’s Challenge returns back to the format that I was accustomed to in the first three books. The book length was back to a three hour listen, which is great for someone like me who loves a nice amuse-bouche just as much as feast. Dawn does really well with short bursts. That isn’t to imply that she can’t write a great full length book. Just look at book four, Akilla’s Reign. She nailed it, but she has a real skill in packing a lot of material into three hour bites. For me, this means that there is never a lull or a break in her book that a longer version might have. She gets to jam it full of action, emotion, and adventure. And man, does she manage to do that here, along with Jess Mountifield’s help. I’ll be honest, I always get a little leery of collaborations. Sometimes voices don’t mix very well, but that isn’t the case for Jessica’s Challenge. Nope, their voices meld together wonderfully, and the story flows smoothly. Alright, at this point, you are probably asking what the book is about. It is about three sisters accidentally enter Puatera for real, and struggle to find one another as well as a way home. When I say struggle, I mean they struggle. The story is just as I said earlier. It is emotional. It is adventurous, and it is undoubtedly dangerous. All I could think of was this will teach them to stay out of their mum’s lab. They go through a lot, which amazes me for the timespan that we have to work with. While the book flew by pleasantly, it really felt like there was waaaay more to it. This was a tightly written piece that really impressed me. I love the Putera series, and cannot wait for the next book. 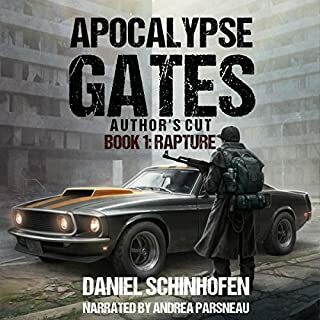 As for the narration, Suzanne Barbetta is a new narrator to me, and I appreciate that Dawn continues to introduce me to all of these wonderful new readers of words. I would have never heard of Anneliese Rennie if she hadn’t shifted the tone of her books with new narrators. All I can say is that when Maddie returns we better have Andrea Parsneau back for that, though, otherwise it just won’t be Maddie. Anyway, I digress, Barbetta does a fine job, and is really pleasant to listen to. Like my pop used to say, she is sweet on the ears. She has distinctive voices, and readily distinguishes who is speaking with the tone of her voice. I enjoyed hearing her for the first time and welcome her to the Litrpg community. I thnk she’ll fit right in. As always, the writing is smooth and fun, the characters, ALTHOUGH THEY ARE NOT MADDIE, are interesting and you connect with them right away. This was a fun book, and it only adds to the Putera World. All I can say it that I hope Dawn can keep up this amazing series, because Putera is a fun place to visit every now and again. As for my rating, man I really hate ratings, I can never really convey how much I love of hate a book with a number. I think you know that just by how I act when I do the review, but if I have to then I will say that this is probably the best book in the series so far, just in terms of concept and how things played out so I am going to give this 5 stars. If you haven’t read the series, this could be a stand alone book, and so is a perfect place for someone to jump in. Don’t miss out, go back and start with the early books. You won’t be sorry. 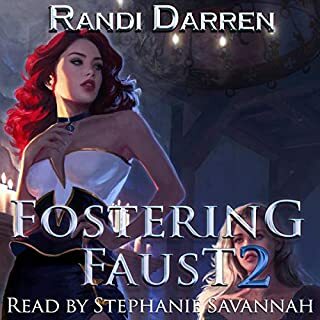 This is the second audiobook in the series I've listened to - same author, different narrator, but liked this one just as much as the one before Akillia's Reign (Puatera Online Series, Book 4). Really cool story, mostly way out of my league (as I mentioned in my prior review, I grew up in the 70's/80's so a lot of this is way over my head), but I get enough to make it very enjoyable. Please take a moment to click the "YES" button below if you found this review helpful :) Thank you! This is the first book I’ve read/listened to by these authors and I can’t wait to listen to another. In fact, I already have more waiting in my library. Despite not listening to the previous books, I had no issues getting into or understanding this story. The book centres around Jessica as she attempts to find her sisters, after they have all become trapped in the game. She gains the help of other players and characters in the game. I’ve read other RPG books, but this is the first one to be outlined like a real game. Jessica’s stats are commented on, her training levels increase and quests pop up upon the completion of other quests or tasks. I’m not a gamer and do not fully understand all the terms etc. I’ve played only one game (Elder Scrolls), and this book is very reminiscent of it without going into details that are over my head. The storyline flows very well, is an easy, uncomplicated listen, and does not seem forced when mingled with the game stats, etc. 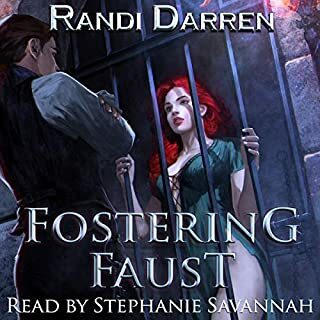 This is the first book I’ve listened to by this narrator (Suzanne Barbetta) and I look forward to listening to another. She did a great job voicing all the characters and helped draw me into the book. I was given this free review copy audiobook at my request and voluntarily left this unbiased review. Please feel free to comment on whether you found my review helpful. 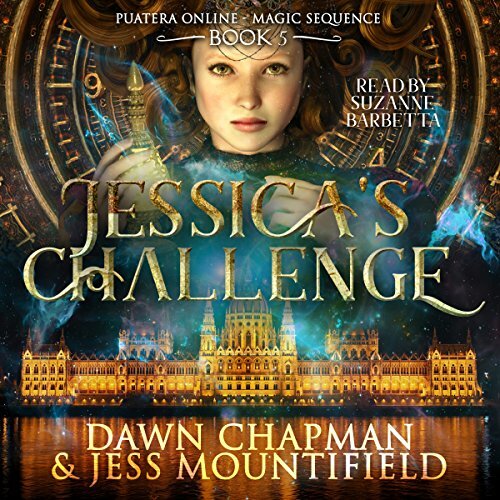 Jessica's Challenge Book 5 of the Puatera Online series by Dawn Chapman (and this particular book also by Jess Mountifield) was SO much fun! 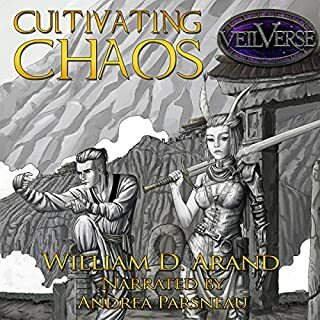 Often with some of these LitRPG books, I find myself a getting a little lost and/or bored while listening. That was definitely not the case with this quick listen. Jessica and her sisters break into their mother's lab and, well, they glitch and get thrown into an online game with no way out. Only thing is, they aren't together. So not only do they have to try and find a way out of the game and back to their own reality, but they also are going at it alone and they really need to find their sisters to make sure they don't leave anyone behind. This was a super fun, easy to listen to book and I'd say that it wasn't too technical and doesn't get too bogged down with details so even non-gamers should enjoy it. I'm definitely looking forward to listening to the previous books in the series as well as Book 6, Dahlia's Shadow, to find out what happened to Jessica's sister Dahlia!! Suzanne Barbetta did a great job narrating Jessica's story and she brought all of the characters, even the NPC's (non-playable characters, otherwise known as already programmed, non-human players) to life. I breezed through this book one evening while making dinner and cleaning around the house beforehand. I'd definitely recommend it if it sounds interesting to you! 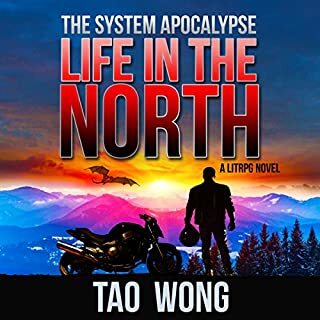 I was voluntarily provided this free review copy audiobook by the author, narrator, or publisher for an honest review. First let me say I did not know this was based on a real RPG game. I am not a gamer nor did I listen to the earlier books in this series so taking that in to account, I really enjoyed this book. The narration by Suzanne Barbetta was great. It was easy to listen to this story. I would listen to other books narrated by Suzanne. The story line kept my attention. It is not a book I would normally pick, but fun it to be very well written and I will listen to other books by the authors. Really fun quick listen I really enjoyed this story about Jess who gets caught in a gaming world after wanting to check it out with her sisters. She ends up in the world with her sisters no where to be seen. How will she find them and how will she handle the world. Ends on a cliffhanger not sure if it gets solved since I saw all the books are stand alones. With this book, we seem back to the shorter stories of Puatera Online. With a new narrator to boot. That being said, it works. Just as it did with the first 3 books in the series about Maddie. This series follows a new strong female character masterfully narrated this time by Suzanne Barbetta. Whether this is your first book in Dawn Chapman's LitRPG series or you've already enjoyed the first 4 books, you can enjoy this one. Another fantastic installment from this group can't wait for the 3rd of this arc. I actually felt this one was stronger than Dahlia and I couldn't stop listening.